Many different types of clients come to We Are Ghost for the services we offer. 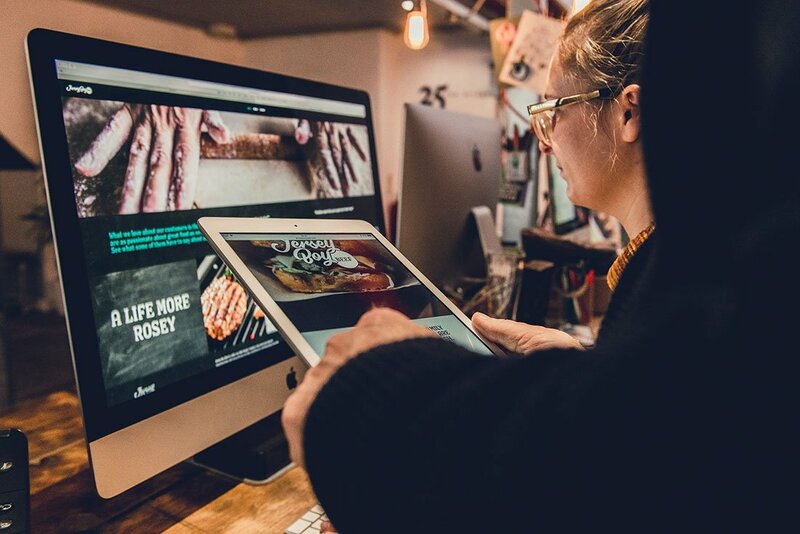 Clients from multi-national consumer brands, to regional businesses, to start-up ventures with nothing more than a great idea; but no matter what the job, we always try to understand the best approach to reach the best design and marketing solutions. Earlier this year we were approach by two young farmers called Hannah & John, who had an idea for a new business venture for their family farm business. They needed our design skills, but also required us to understand their product and figure out a way to sell it through branding, digital marketing and above all, give them the right type of words to pitch their products. Hannah & John’s new business venture was to sell the meat product Veal. A meat that comes from young bulls (male cows) and is seen across all of Europe as a delicacy. Traditionally, Veal is a meat that is sold as ‘White’ Veal. White Veal is an awful process where young male cattle are put into small cramped pens inside large barns. They never see the light of day, are fed milk (or formula-fed) and then slaughtered after living the most retched of lives. Eventually, this practice led to consumers having a natural and understandable reaction, we simply avoided buying Veal of all kinds. With the UK and EU banning the practice of White Veal, most farmers today slaughter at birth their male calves. This is terrible for so many reasons, not least of which for farmers who have to do the slaughtering themselves. Our two young farmers saw first-hand the stress this caused their parents and wanted to change things. Hannah & John saw a way for their farm’s future through ‘Rose’ Veal. Rose Veal gives male calves the freedom to have a life. They are first formula-fed, then, at the right age, allowed outside and fed on grain or hay – as Hannah herself put it; “Rose Veal calves have a good life”. Hannah & John already had a Craft Cheese business, where they go to local Farmers Markets and County Shows selling their produce from their dairy farms. So, they knew they needed an all new brand for their Rose Veal business and understood why it needed to do more than just look ‘pretty’. Our first action was to understand two things. How they want to market their business and how that business should look in that market place. The extra dimension was that Hannah & John wanted to go beyond just local craft markets and sell their Rose Veal online. Hannah & John came to us with a name that they weren’t 100% sure about, but they liked it; Jersey Boy Beef. We explored various other names, but felt their name had a really positive feel about it, not least with the cattle themselves. The name had a quirkiness to it that fitted their business with the design approach we were beginning to explore. We also really liked the name with it’s Americana link to the famous musical Jersey Boys, given that Rose Veal would be sold mainly as gourmet burgers. The logo and subsequent design style were primarily based around a fun and eccentric typestyle, which we felt suited the brands personality and ethos. 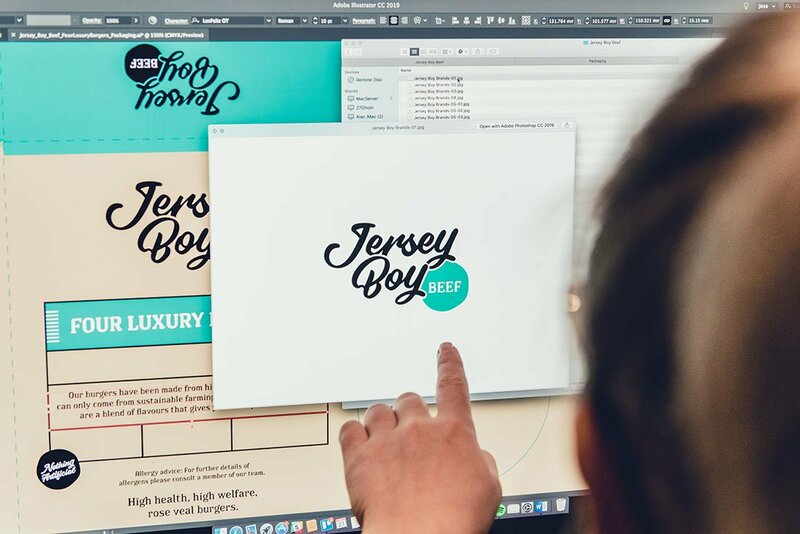 But this primary Jersey boy beef logo design needed to adapt to the growth of the business, with both Hannah & John speaking about the possibilities of expanding their brand in the future. To enable the space for the Jersey Boy brand to grow, we designed the logo to subtly adapt. The typestyle for Jersey Boy would stay the same, but the words and colours would change to create diversity between the sister brands. 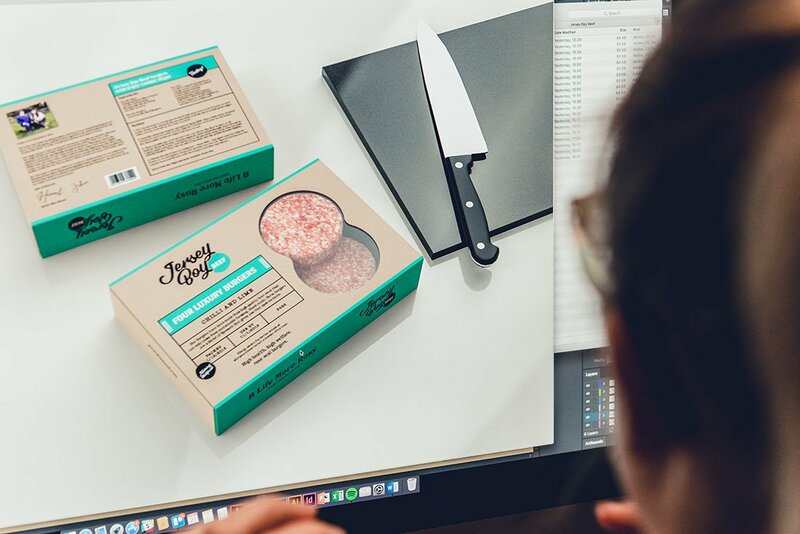 Hannah & John were very hands-on with their new venture from the beginning; from rearing and caring for their calves, to researching the most exquisite ingredients for their delicious burgers; we wanted their brand to reflect their dedication to the new business. It was extremely important to get across to the consumer the ‘High health, high welfare’ message and have a personal message from Hannah & John regarding the methods they take. We also added other personal touches with the name, weight and sell-by-date being added by using a stamp. We really did feel that all these personal touches had to reflect both Hannah & John’s passion for good farming. We also used a mixture of commissioned photographs and stock imagery (to save costs) with the design to help express the brand and ethos. This modern, some might say ‘Hipster’ style, really lends itself well to Hannah & John’s own style and the business they wanted to portray. It’s rare for any agency to tackle a sensitive subject, but we love a challenge and Hannah & John’s enthusiasm was so infectious we felt we wanted to know more to understand what drove them. The highlight for us was giving Jersey Boy Beef the language to sell their ethical product and give it context to their family farm. 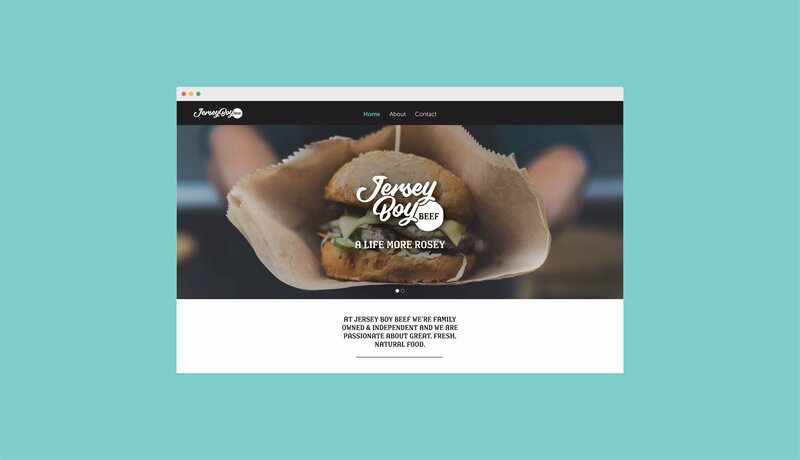 The Jersey Boy Beef has only just gone live and its early days, but they are a business that’s ready to grow and prosper. We expect the business idea to evolve and hopefully involve more farms in their area. This can only be a good thing; good for young cattle, good for the farmers and good for the consumer, who’ll have more access to this great meat. We wish them the very best of luck.